You can also convert a legacy deformation rig to the new format using a script. You can select which chain you want to transform. 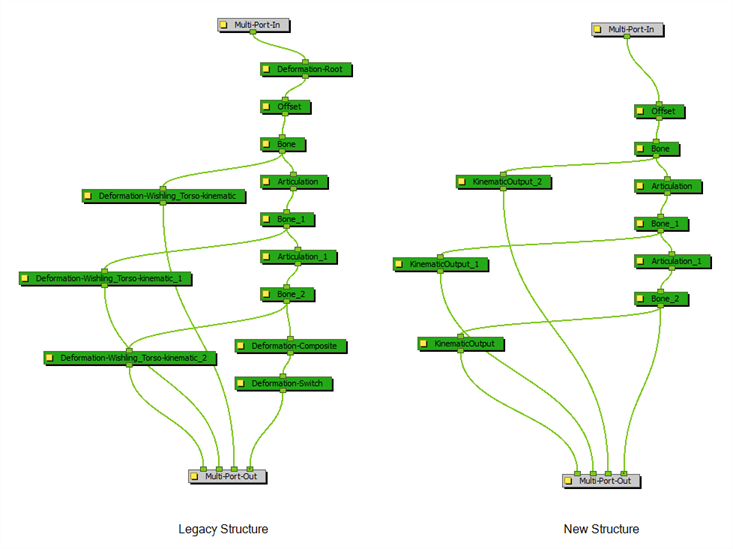 Certain legacy nodes will remain in the structure to make sure the integrity of your original puppet is maintained. In the Node or Timeline view, select the deformation group containing the chain you want to convert to the new structure. In the Scripting toolbar, click on TB_ConvertLegacyDeformation. If the script is not available in the toolbar, you can load it. 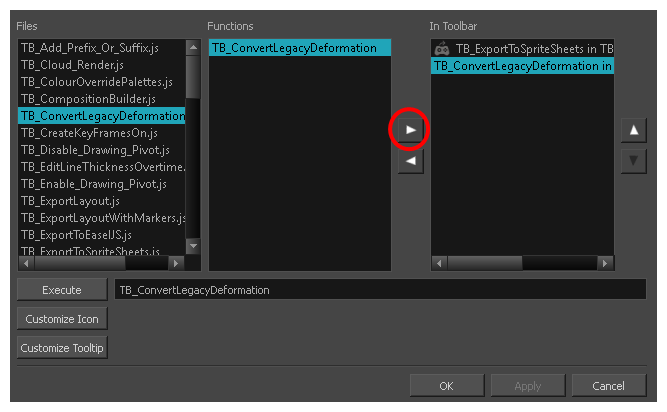 In the Script Manager dialog, in the File column, select the TB_CovertLegacyDeformation.js script. If you cannot find the script in the list (most likely due to a software upgrade installation), you can load the script through the Script Editor view from the default resources folder—see Importing Scripts. In the Functions column, select TB_ConvertLegacyDeformation. Click the Right Arrow button to move the function to the Scripting toolbar. The legacy chain is converted.